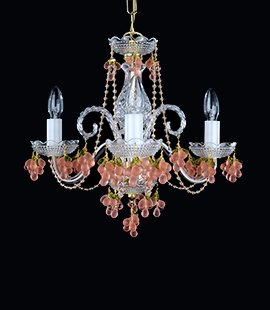 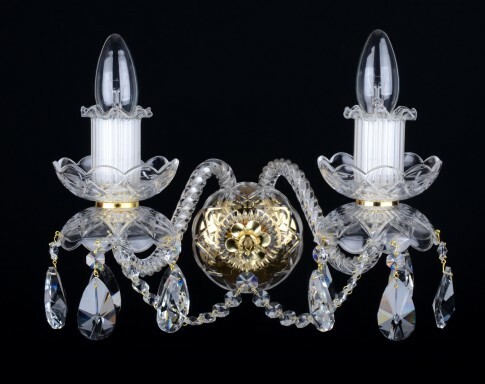 The 2-Arms crystal wall light with cut crystal almonds. 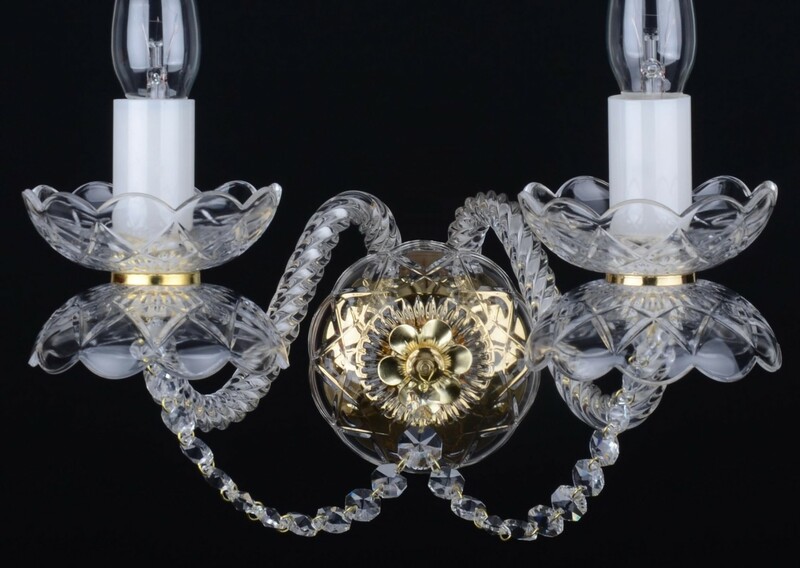 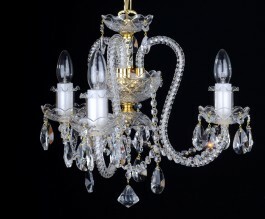 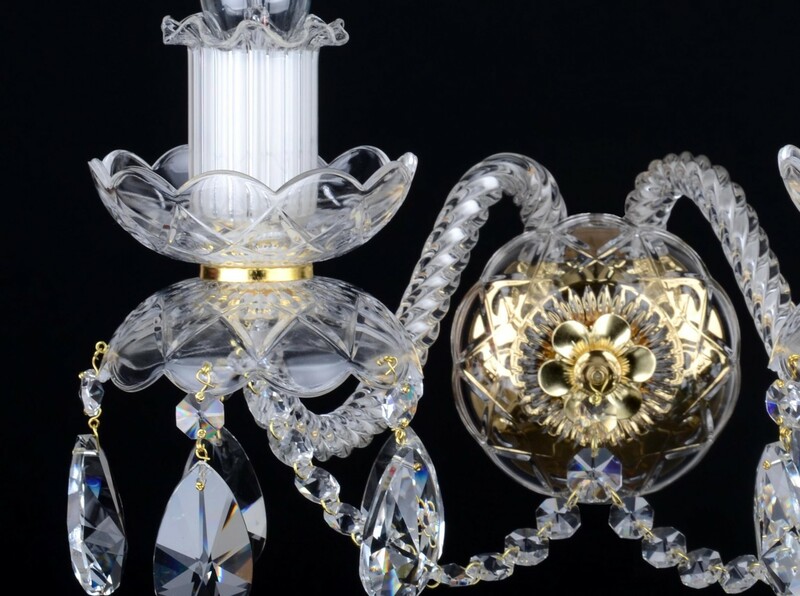 The Czech crystal wall sconce made of quality pressed glass (bobeches). 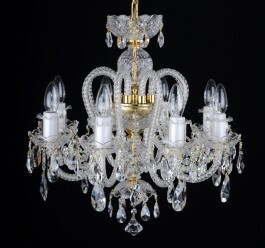 Dimensions (W x H x D): 32 x 17.5 x 23 cm/ 13.1"x7.1x 9.4"